Step 2: You can change colors here. Colors are determined by Hex Code. Each ‘Text’ and ‘Background’ color field can be overwritten. 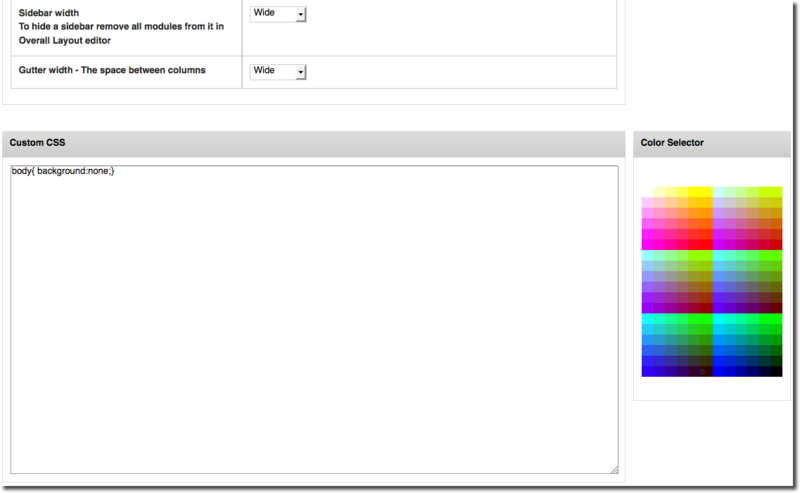 Step 4: You are able to change the spacing dimensions for the overall website color. 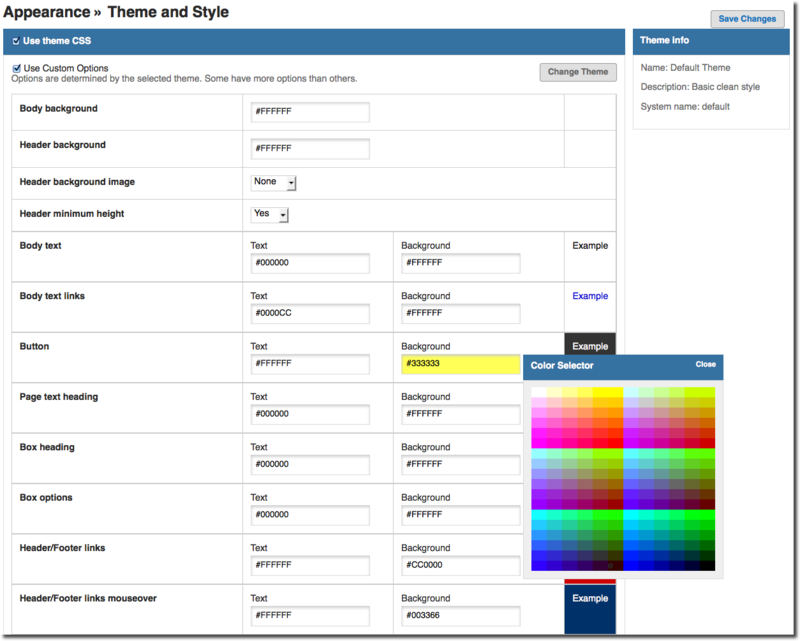 You can also add Custom CSS to the website.